With over 20 years in the freight and logistics businesses Cargomaxx Logistics possesses the expertise and experience to handle any of your special logistics needs throughout the continental 48 states. 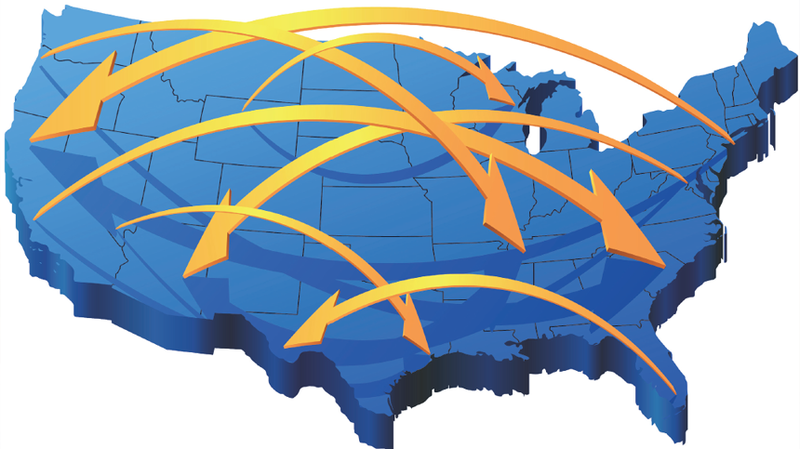 Through the years Cargomaxx Logistics has developed a sophisticated transportation network throughout the United States that can take care of all your shipping needs. We’re committed to earning our customers trust. We do that by delivering value in the quality of services we offer, and by responding with efficient solutions to their challenges.We pride ourselves on delivering personal, responsive service customized to each customer we work with, and we’re detail-oriented, which means we won’t overlook the small things related to your projects. You’re more than just another account to us. Hyper-focused on you, your team deeply understands your business and provides you with intelligent, proactive solutions. Your experience working with Cargomaxx Logistics is simple and stress free. We’ve earned the reputation as a trusted and reliable logistics brokerage partner.We’re dedicated to offering cutting edge technologies and solutions to our clients in order to save them time, money, and frustration. We’ve earned a reputation as a trusted and reliable domestic shipping partner, and we’re proud to offer flexible, customized comprehensive transportation and logistics solutions. Cargomaxx Logistics can move your goods from the Chicago area to all 48 states, bring your freight in from all 48 states to Chicago or arrange for your goods to be moved from point A to point B anywhere in the continental 48 states.